Debt repayment protection insurance is a controversial type of insurance that has recently come under some fire in the press. There’s a chance that you might be paying debt repayment protection insurance that you didn’t ask for without even being aware of it – and if that’s the case then you may be able to claim back thousands of dollars. Read on to find out more. In principle debt repayment protection insurance is a good idea. It does what it says on the tin – providing insurance for your loans so that you’re covered if you can’t pay the loan back. This gives the lender more confidence and means they can charge a lower rate, and it means you can avoid getting into serious debt if life circumstances leave you unable to pay. There are many debt repayment protection insurance companies out there that do a great job of this and that provide a great service. That however is true of the debt repayment protection insurance companies that are private and that you seek out. Where it is a problem is when banks and lenders add debt repayment protection insurance to your loan without full disclosure. 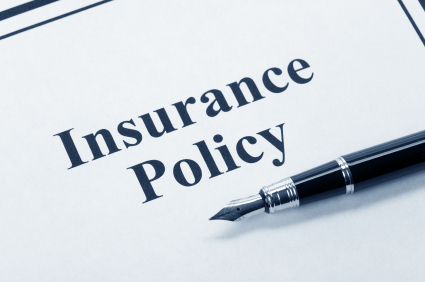 It might be mentioned in the fine print but often you will not have been asked whether you want debt repayment protection insurance or have had the process explained. The debt repayment protection insurance that the lender provides will then often have a very high rate and will not be competitive compared to private companies offering the same service. At the same time debt repayment protection insurance that is included in the cost of the loan is often not comprehensive meaning that you will not be covered in a vast range of scenarios – for instance if you can’t pay your loan back due to an existing medical condition it will not be valid. Finally, this kind of debt repayment protection insurance is often added to the cost of the loan meaning that it will gain interest along with the loan as you pay it. In other words it is far wiser to get separate loan repayment insurance and if you have been paying it already without being aware then you might have had it miss-sold. Look over your past documentation for your loans to try and ascertain if this might be the case. If it is then you might have a case and be able to get the full cost paid back to you. In future make sure to always ask about loan repayment insurance when you take out a loan.